Accountability in the workplace is not restrictive; it’s freeing. When every member of an organization — from the top-level executives to the summer intern — has clarity about their role, expectations and goals, it creates an environment where trust and confidence bloom and employees thrive. Are you getting the results you want? Is your team hitting a rough patch or experiencing growing pains? Perhaps it’s time to approach the subject of accountability with yourself and your team. How do you know you need an accountability speaker? Let’s take a look at what must exist to have accountability in your organization. Character. The character of your organization is shaped by your values, but values don’t do any good if they aren’t clearly defined and communicated to everyone within your organization. An organization with character is one that does what is right for its customers, employees, suppliers and investors, even when it’s not the easy choice. Do the actions of your team exemplify your values? Does your organization have clear rewards for achievement and actions to address underperformance? Unity. Does every employee in your organization both understand and support your mission, vision, values and strategy? Does every individual clearly know his or her role in helping achieve the mission of your company? Learning. An investment in ongoing training and development reflects an organization that is committed to continually learning, growing and improving for the benefit of both customers and employees. When was the last time your team tackled something new? Tracking. Can you measure how well you’re doing on the things that matter to you? Are you achieving milestones and goals? An organization with accountability has a reliable, established system to measure what’s most important. Urgency. Are employees empowered to make decisions and act on them with a sense of purpose, commitment and immediacy? 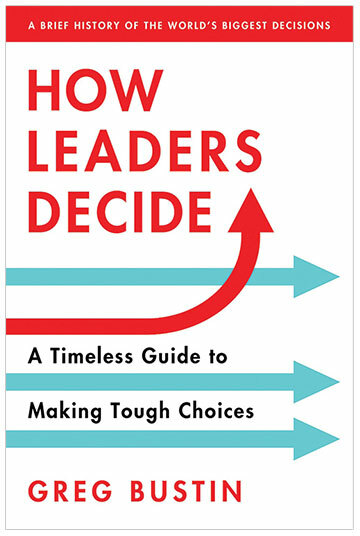 What barriers to decision making exist in your organization. Reputation. This pillar may seem like common sense. Of course reputation is important. You might be surprised how many companies are unable to answer two simple questions about their reputation. What do your customers and competitors say about you and how do you know? Evolving. Are you stuck in your ways or do you have the flexibility to continuously adapt and change with the marketplace? How do you jump start innovation? These seven characteristics form the acronym C.U.L.T.U.R.E. Always remember that the culture of your organization is a significant predictor of your future performance. How is your organization doing in these seven areas? How are you doing? Is every member of your team, from the executives down on the same page as far as mission and values? If any of these seven pillars is lacking, accountability is an uphill battle. Joan of Arc: 3 Leadership Lessons | Are These 8 Myths of Strategic Planning Holding You Back?